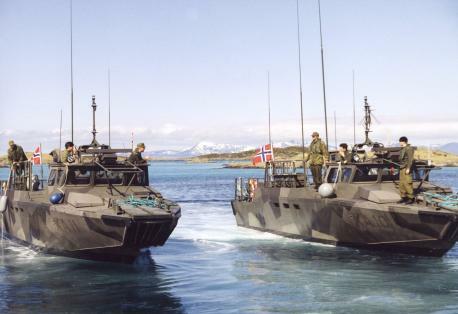 The Royal Norwegian Navy received the latest two Combat Boats back in 1999 originating from an order for 20 units. 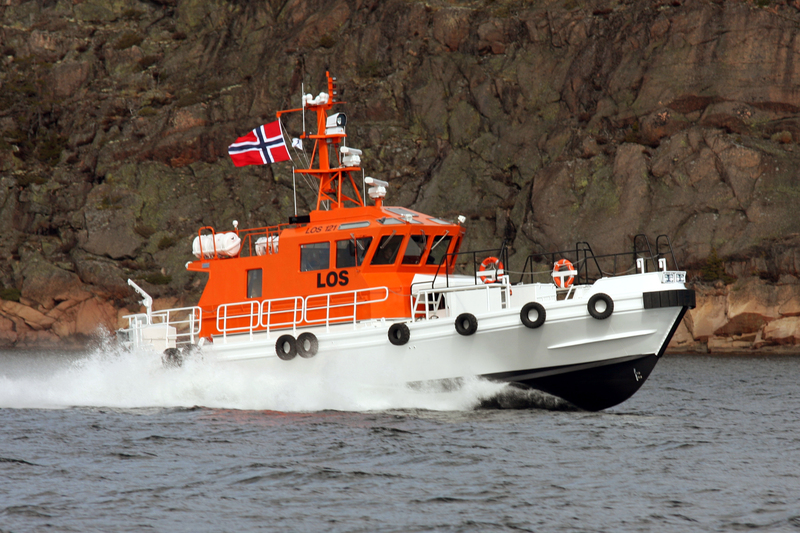 The last two boats, named Mövik and Malmöya, arrived at Lofoten in northern Norway on big trailers. 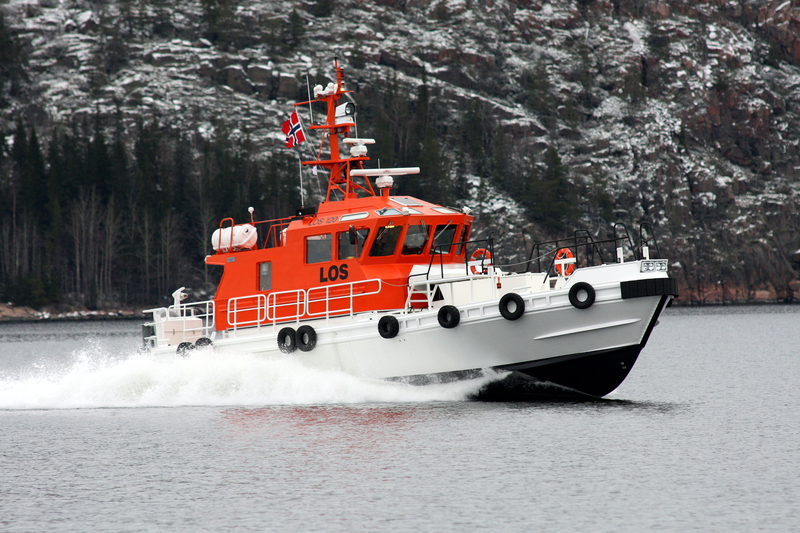 CB 90 N has a raised superstructures to give full standing height = 2 m in the troop compartment, a 5 kW 230/400 V AC genset plus a number of minor details to suit the special Norwegian operational needs. The order included a comprehensive documentation, training and logistic package. The boats are used as the main transport for the Mobile Hellfire Missile Shore Defence System that has now been organized by the Norwegian Coast Artillery as replacement for fixed gun installations. Each Light Missile Battery comprises four boats, three for the Missile Groups and one fitted as a group command center. 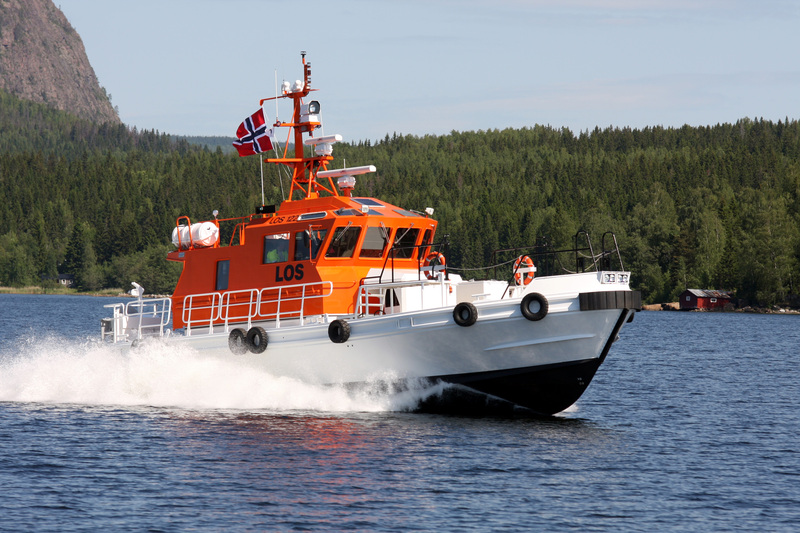 Over the last years, Dockstavarvet has been supplying the Norwegian Pilotage Organisation, Kystverket, with Pilot Boats, in a total of 7 units. All boats are of Dockstavarvet design.